Axis builds on its success in network camera technology for security and video surveillance with a new product family enabling live streaming and webcasting. 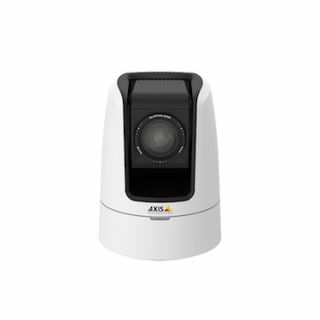 The Axis V59 PTZ Network Camera Series is designed to stream and webcast audio and video in a variety of applications such as in auditoriums, classrooms and sports venues, as well as for weather reports and traffic information. The cameras offer HDTV resolutions of up to 1080p at 60 fps, smooth pan/tilt/zoom (PTZ), high quality audio, powerful 30x zoom and an open interface for easy integration with other systems. The flexible and high performance cameras deliver high quality audio and smooth pan/tilt/zoom capabilities ideal for audio and video production and live streaming and recording in HDTV quality and can be mounted table-top, wall, or ceiling. The cameras can be remotely controlled via a web interface enabling operation from mobile devices such as tablets and smartphones. The AXIS V59 Series cameras offer a powerful 30x zoom and HDTV resolutions of up to 1080p at frame rates as high as 60 fps, providing smooth video even with many moving objects. While cameras for the video surveillance market feature fast pan and tilt functionality geared to quickly capture incidents, the AXIS V5914 and AXIS V5915 offer smooth pan and tilt functionality. The camera settings are optimized for high-color fidelity in HDTV as required for studio environments. The cameras feature an open Application Programming Interface (API) for easy integration with other systems and support AXIS Streaming Assistant making video and audio streams easily accessible by streaming applications such as Adobe Flash Media Live Encoder, Microsoft Expression Encoder or Ustream.com and video conferencing applications such as Skype for Business (Lync) or Adobe Connect.